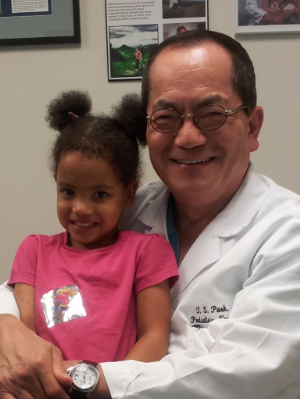 Caitlin Rose with Dr TS Park MD, Neurosurgeon in Chief at St Louis Children’s Hospital. Hello to all involved in the welfare of Caitlin. By the smile on her face it would appear that the operation was a success which is fantastic news.